Goa the true International spot in India is famous for its beaches, food and drinks. The alluring beaches, sand, seafood, churches and other visiting destinations along with Goa hotels and resorts make this city attractive for both domestic and international tourists. Goa tourism includes varied aspects not only to provide comfortable accommodation facilities but also taking care to meet every kind of tourists of all groups of people visiting the state. The kind of tourist includes family, young generation for adventure trip, entertaining trip, leisure trip, business group etc. From the tourism aspect with hotels in Goa offers in both North and South Goa. The attraction in North Goa includes Anjuna, Baga and Dona Paula beach, the famous forts like Chapora and Aguada. South Goa beaches include Candolim, Varca, and other attractions are Catigao Wildlife Sanctuary and Church of the Holy Spirit. Many tourists opt for North Goa – the more popular section of Goa. This is the part of the city where you can see amazing beaches, forts, shrines, forts and temples. Most of the Goa hotel and Goa resort are located in the beach. Many hotels are used to hosting international tourist and hence offer top class amenities including bar, a swimming pool and a private beach in some cases. However some of these Goa 5 star hotels are extremely affordable during off seasons – the best time being the months of February, March and July. Every traveler wishes to bask out their holidays at a place where they can get away from the hustle and bustle of the city. When it comes to ultimate serenity and holidaying opportunities, Goa leaves no stone unturned. The land is dotted with splendid beaches, gorgeous waterfalls, joyous festivities, rich culture and places of historic and religious attractions. The entire landmass beguiles travelers who wish to explore a whole new world of vacationing. Most of the globetrotters find a perfect destination for themselves in Goa, which is home to an array of hotels that provide the best accommodation in the state. Hotels in Goa are the perfect place to relax and enjoy the most opulent stay in the state of happening environs. One can also find an array of budget hotels in Goa, which has lined up a huge array of modern amenities and state-of-the-art facilities for their esteemed guests. When it comes to impeccable services and nonpareil hospitality, Goan Village Resort is the only name that outshines the others. Located near the famous Candolim & Calangute beaches of north Goa, it is the best place for couples, families, leisure travelers and adventure seekers. An acme of luxury & comfort, Goan Village is counted amongst the renowned Resorts in Goa. The hotel houses well maintained deluxe rooms and suits that are equipped with all the basic necessities. Moreover, the hotel also offers banquet facilities, small trip facilities and railway and airport transfer to their guests. Multi-cuisine restaurant, ayurvedic spa, fitness center, swimming pool, etc. are some of the other highlights of the resort. Being at a luxury village resort in Goa equipped with all the sophisticated amenities all for your comfort is really an exciting thing to do. 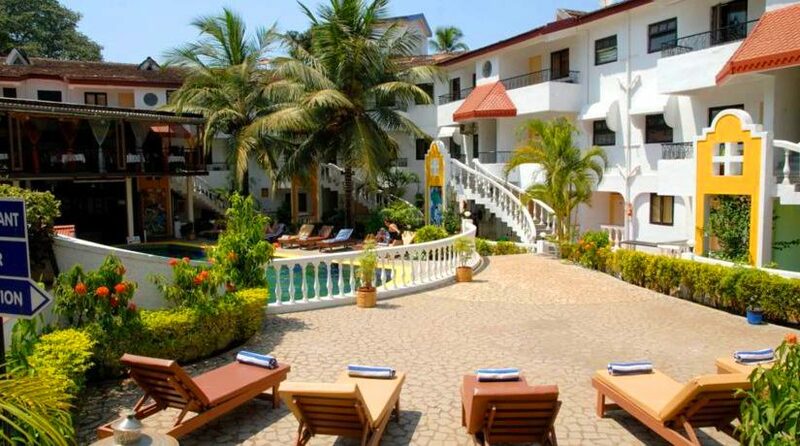 The Goan Village Resort is always prepared to provide you this kind of lavish stay. And guess what? All this luxury is available in your own budget. You are going to experience a full sense of luxury during your stay in Goa if you have opted to stay in The Goan Village Resort. The resort makes it all affordable for you. However, you don’t have to compromise to compromise with the quality of accommodation when you are at a place like Goa which is known as paradise for tourists. The resort makes available all the sophisticated and contemporary amenities to make your accommodation very comfortable in the gorgeous beach state. All your requirements of quality accommodation in Goa are well taken care of by The Goan Village. This resort holds a foremost place in the beach state when you want a luxury stay in your own budget. The hotel is known for providing superb services, modern facilities and most comfortable stay as well as warm hospitality in Goa. The resort has now proved that the budget accommodation doesn’t mean to compromise with the quality of services or comfort. It offers all the state-of-the-art services and world-class facilities at surprisingly low prices. That is why the resort has gained a leading place among the hotels in Goa. 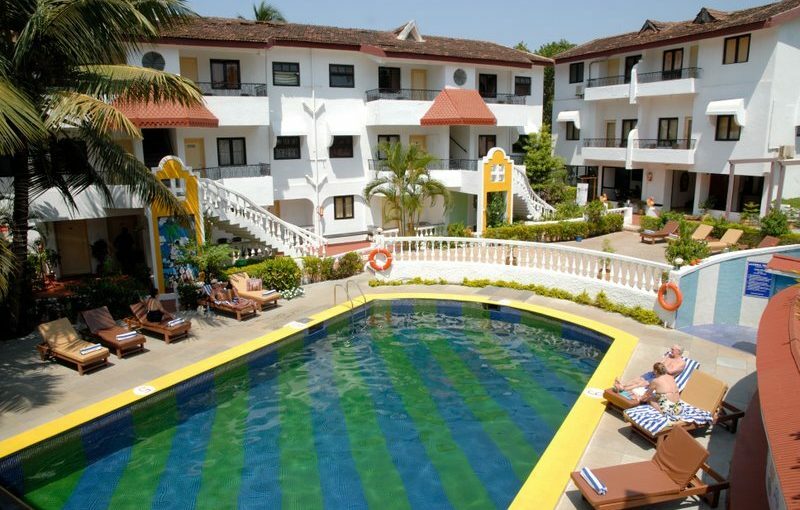 The resort is a paradise for those who are looking for budget accommodation in Goa. Letting you experience the vividness of the Goa Travel Guide, the resort’s travel desk offers budget tour packages comprising various services and facilities to hold a superb beach trip for you. 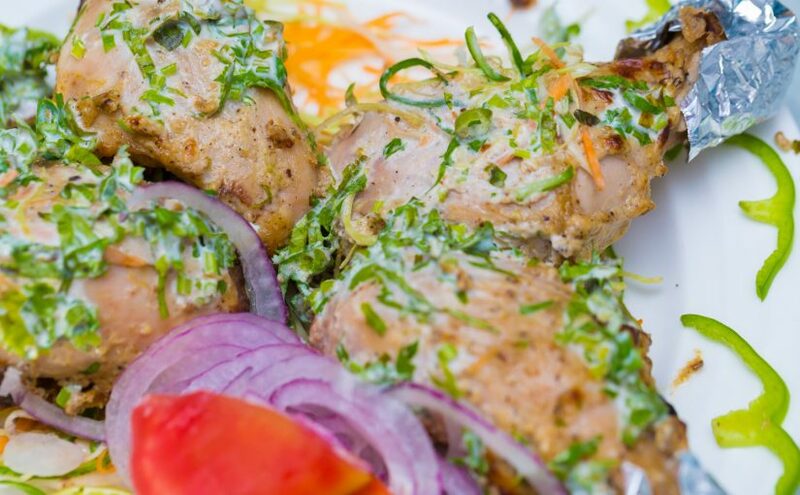 So, when you go through the list of hotels in Goa, you cannot miss out The Goan Village Resort. Visit the resort and enjoy the luxury of a village in your own budget in the expensive state of Goa. If you have ever dreamt for living in a luxury village resort in Goa, this is the time to make it true. The Goan Village Resort is here to offer all this luxury to you in your own budget. Equipped with all the sophisticated and contemporary amenities, the resort offers lavish accommodation in your own budget. The resort offers you the best ways to make your wishes realized of spending some special moments in an expensive state like Goa are coming true with The Goan Village Resort, one of the best Hotels in Goa. Offering the best Goa Hotels Deals, The Goan Village has realized a big name among the best of the Goa resorts. It also offers superb Goa Packages to make your accommodation in the state much comfortable. The Goan Village is known for offering state-of-the-art services, modern facilities and the most comfortable stay in Goa. You can enjoy full sense of luxury during your stay in Goa if you have chosen to stay in this superb hotel. Goa Travel Guide is very vivid and you will experience the elegance of some of the best beaches in the world, during your stay in Goa.